Srikant Viswanadham's practice spans a number of areas of intellectual property law including IP procurement, strategic IP counseling, IP portfolio management, and opinion work. 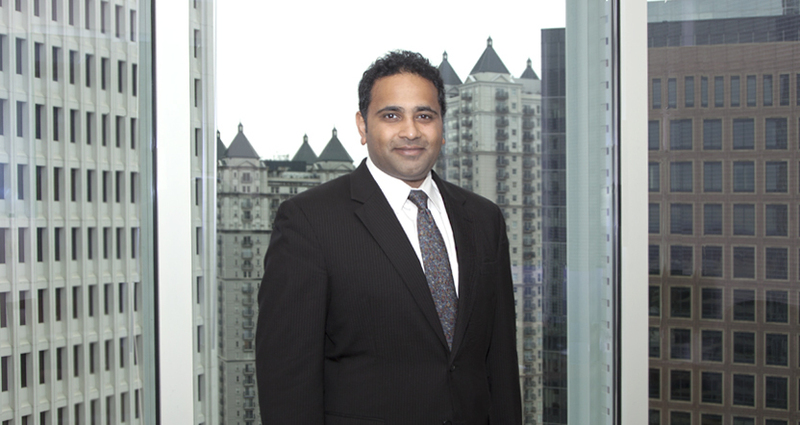 Srikant focuses his practice on patent application preparation and patent procurement. Srikant has prepared hundreds of patent applications and prosecuted several hundred more directed to a wide variety of technological areas including computer hardware and software, business methods, electrical and electro-mechanical devices and systems, and oil and gas technologies. Srikant also has experience conducting due diligence reviews as part of mergers and acquisitions and preparing freedom-to-operate, invalidity, and non-infringement opinions. Srikant's prior experience further includes assisting in various aspects of patent litigation including formulating invalidity and infringement positions, drafting and responding to discovery requests, and managing document review.